Since it has been so hot and humid here in Philadelphia, and we have been living with the windows closed due to the a/c , today I decided to open all windows and do a thorough cleaning of the place. When the house is all closed up it get's that stuffy smell and anything I have cooked seems to linger in the air. Know what I mean? So I'm on a mission to get this finished. It's getting hot though and so I thought I'd better take a moment to drink a little gatorade and while I'm at it share a story. 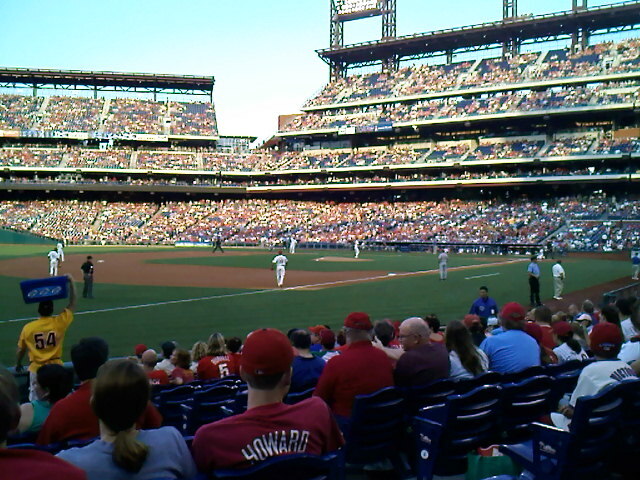 Last night my brother got us free tickets to the Phillies game. We used to go a lot before the Phillies won the championship, and then ticket prices went up and games sold out. Anyway....he got us great seats right on the third baseline. Well it had to be one of the most exciting baseball games I've watched in awhile. 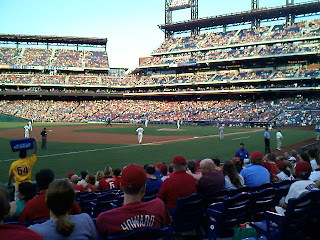 There were some crazy plays, a foul ball that came flying toward us (guy next to us dropped his cheesesteak), and the game went into extra innings. 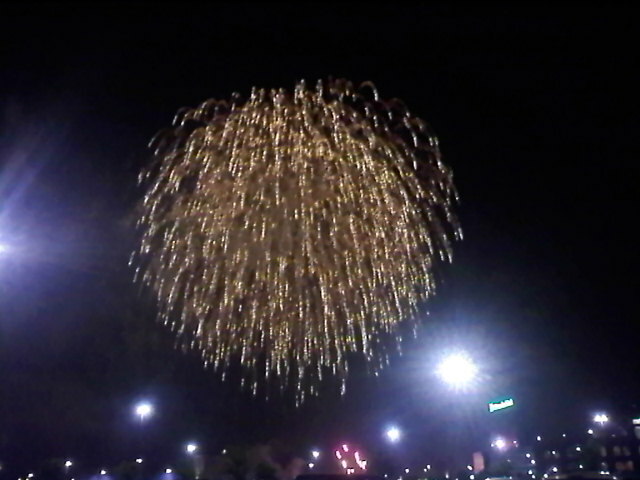 Did I mention it was firework night at the ballpark too? It was just one of those fun nights. And even though it was hot, we had a nice breeze that kept us cool for most of the game. Due to extra innings the game ran late, yet there were still a lot of people that stayed and watched the fireworks.